With all the moving services you need, our Hayward movers are fully prepared to help you move to your new home. Our clean-cut student-athlete Meathead Movers are dedicated to fulfilling all your moving needs honestly and efficiently. 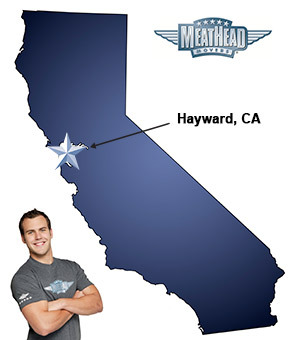 Welcome to Meathead Movers of Hayward! If you are moving to, from, or within Hayward, we would be honored to be selected as your Hayward movers! Our professionally trained student-athlete movers and our move concierge service are here to help you with every stage of your move. Located in the heart of the Bay Area, Hayward is an extraordinary place to live and work in. From its stunning shoreline to the beautiful homes on its hillside, this city is a beautiful place to call home. Outdoor enthusiasts will love exploring over 3,000 acres of open spaces and parks within the city. As the third most racially and linguistically diverse city in America, Hayward is a very welcoming and inclusive city. It is also home to California State University, East Bay, which provides great opportunities to pursue a higher education. If you are considering a move, Meathead Movers is here to help. Our moving company specializes in local, long distance, and commercial moves to, from, and within California. We also provide reliable packing, storage, on-site relocations, and our distinctive moving concierge service. All our student-athlete Hayward movers are thoroughly screened and trained before their first move. With branches throughout California, we are your one-stop resource for all your moving needs, no matter where your move takes you. We have been revolutionizing the moving industry since 1997. When you entrust your move to Meathead, you can rest assured knowing that your move will be a success because our professionally trained student-athlete movers are the best Hayward movers the industry has to offer. In fact, you can see what your neighbors in Hayward have to say about us! Contact Meathead Movers today for a free moving quote, and learn how we can help you on your next move. With our 100% satisfaction guarantee, the only thing you have to lose is the stress that comes from moving! Moving to Hayward? Here are some helpful resources. On time Curtious and respectful and hardworking ????? ?